Top of the scramble at the 4.5 mile point. This was a terrific race in my own back yard, during what the locals affectionately call 'summer'. 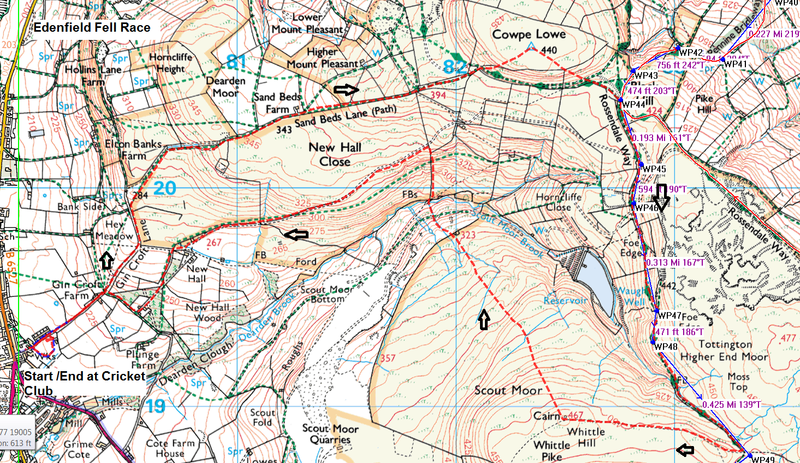 The long climb up to Cowpe Lowe is relentless, then its down to the Pennine Bridleway (near the final leg of the Mary Towneley loop) and up again past Waugh's well. 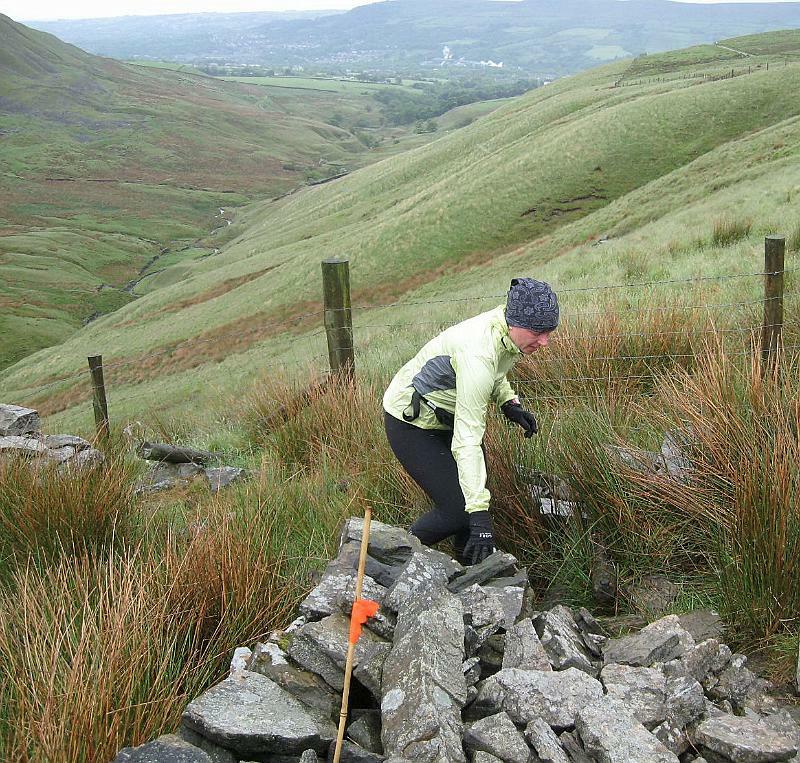 After the Well carry on up, then right and up yet again to Whittle Pike cross. From there it's a tussocky descent, through some bogs and then a calf-burning scramble up to the place shown in the above picture. Then its left and a joint-shaterring 1.5 mile downhill sprint on concrete to the field. Finally you run a lap what feels like the biggest cricket field on mother Earth to cross the finish line. I really enjoyed this race. After the scramble I took a few moments to look back down the valley and at the hills beyond, and it reminded me why I do this stuff. Beautiful. Plenty of loos, parking, butties and results out next day. Well marshalled, well flagged and mountain rescue in attendance. Only 87 finishers, can't think why, it's fabulous. Bacon butties only £1!